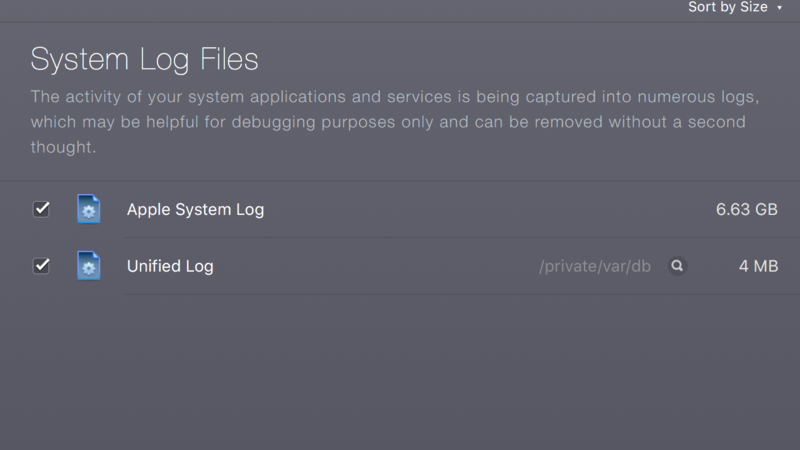 launchd and kernel task are writing excessively to disk (and constantly running) on my mac. I'm running macOS Sierra version 10.12.15. Below are screenshots showing excessively logging. I used clean my mac 3 to clean out like 30 gigs of systems logs, but they keep coming back. Here's a screenshot showing that a few hours after cleaning out the 30 gig system logs they are back at 6 gigs. Any idea of what's going on? Should I not have cleaned out system logs? Woah - your launchd is quite busy. Before you run any clean, I would save your work and do a shut down and then safe boot. The safe boot is when you hold the shift key after the startup chime sounds (or would sound if silenced). This startup will take quite some time and it sets aside things link font cashes, all non critical kernel extensions / drivers / program start up. 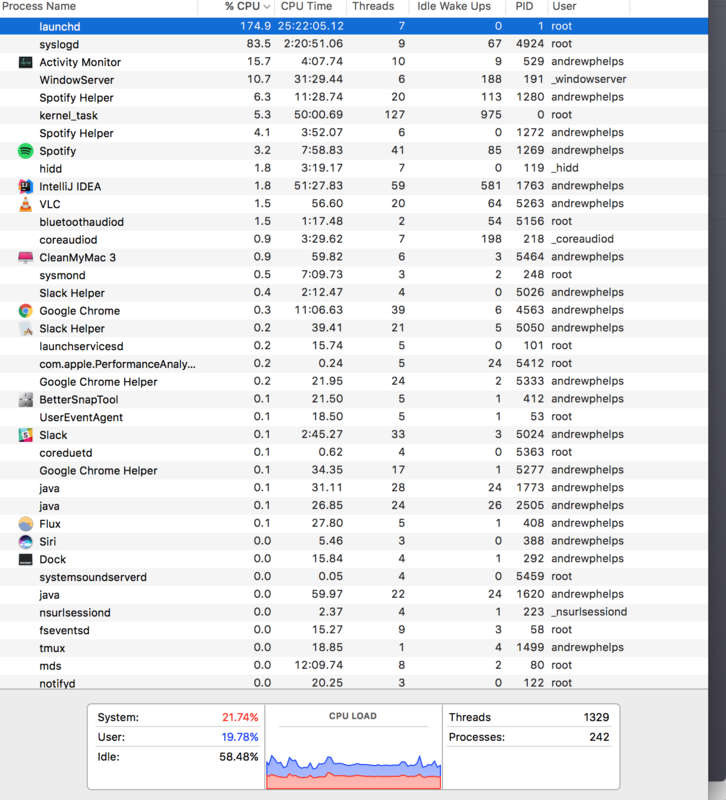 Once the Mac is running - check on the activity monitor and grab screen shots to compare to yours above. After 5 minutes, you should have a very idle system. If not, disconnect from all networks and repeat the safe boot one time. At that point, you’ll know if the core OS needs to be reinstalled if it’s not behaving in safe boot mode. If it does behave in safe boot, try a normal boot. Next up if the normal boot fails - try making a new user and setting that user to log in at boot and restart. Sorry this isn’t a “do this to fix” sort of answer, but you’ll need to triage a bit to get a feeling if this is software related and user/OS software related. The log files themselves don’t cause issues - it’s the configuration or changes you brought to the standard install that’s logging all the messages. Imagine a leak in the basement - clearing the logs is hiring a contractor to come pump it out, rather than figuring out what’s leaking in the first place. Not the answer you're looking for? Browse other questions tagged sierra launchd disk-space cleaning . What kind of cloth and cleaner do the people who work at the Apple store use to clean MacBooks? What is causing launchd to burn my CPU? Comprehensive Clean out and migration of specific folders in Apple iTunes? How to perform a “Clean Install” these days?